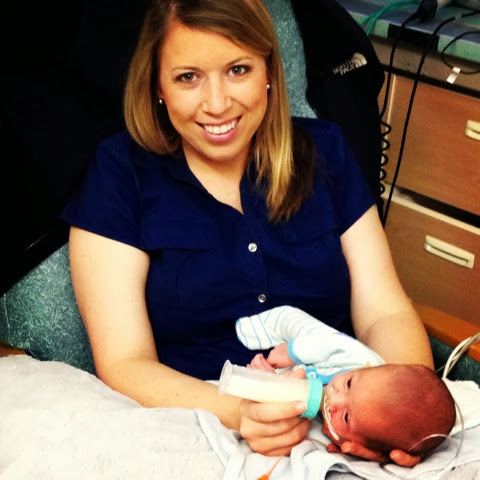 CJ did so well over the weekend breast feeding that he has graduated once again to a new milestone! Every 3 hours, he gets to breast feed...if I'm there... or bottle feed if I'm not there. 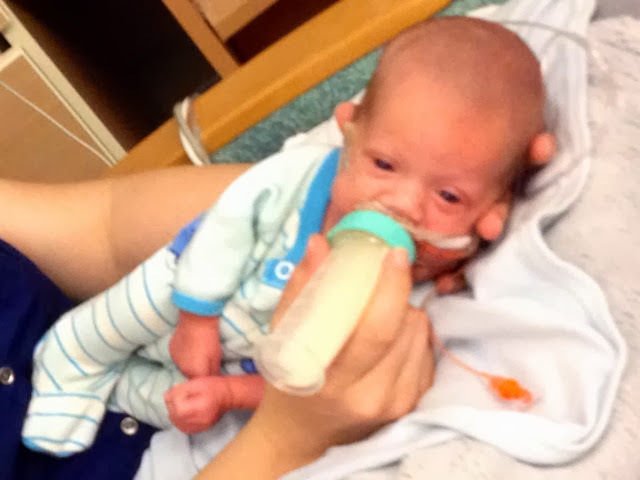 Today, I got to give him a bottle for the first time....EVER!! He wasn't too sure about it and was a little tired after breast feeding. For most almost 2 month old babies, this is old habit. Babies are usually born doing being able to eat from a bottle or breast feed. To be able to breast feed or bottle feed our 36.2 weeker...our almost 2 month old baby....is such an amazing blessing! !